This month’s edition also includes exclusive previews for the next four episodes of Doctor Who, beginning with this Sunday’s upcoming historical story Rosa, guest starring Vinette Robinson as the civil rights campaigner Rosa Parks. 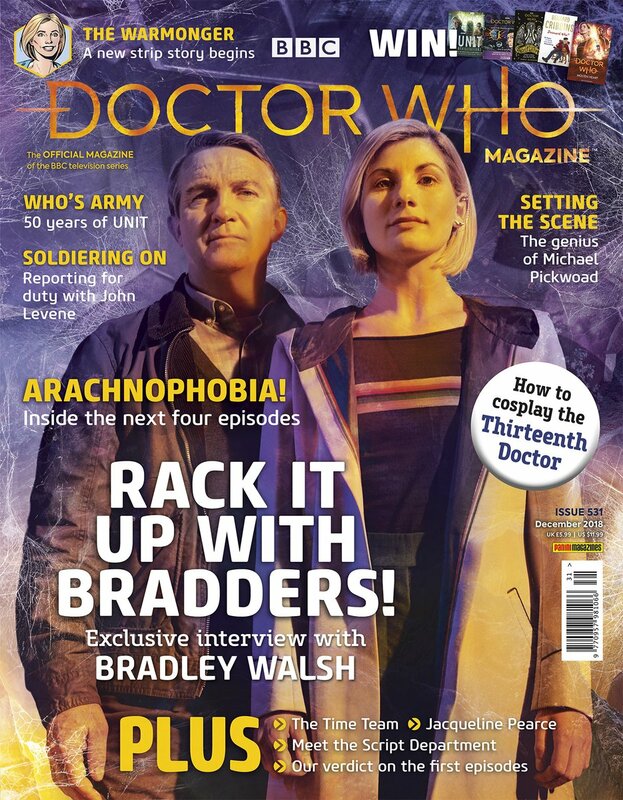 DWM will also be previewing the three episodes set to follow Rosa in the coming weeks: Arachnids in the UK, The Tsuranga Condundrum and Demons of the Punjab. Also included is a feature looking back at 50 years of UNIT as well as one on John Levene, who played the organisation’s Sgt Benton. There are also tributes to production designer Michael Pickwoad and actor Jacqueline Pierce, both of whom have sadly passed away in recent months. As well as regular features including Time Team and the publication’s regular cosplay feature – this time showing readers how to cosplay as the Thirteenth Doctor herself – the magazine debuts a brand new comic strip featuring the new Doctor. ‘The Warmonger’ is written by Scott Gray with artwork by John Ross.